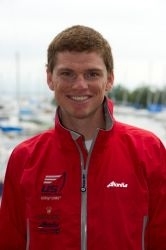 St. Patrick’s School Alumnus to Represent the United States in the 2012 Olympic Games! Erik Storck, an alumnus of St. Patrick’s School, will represent the United States in the upcoming Summer Olympic Games in London, beginning July 27th. 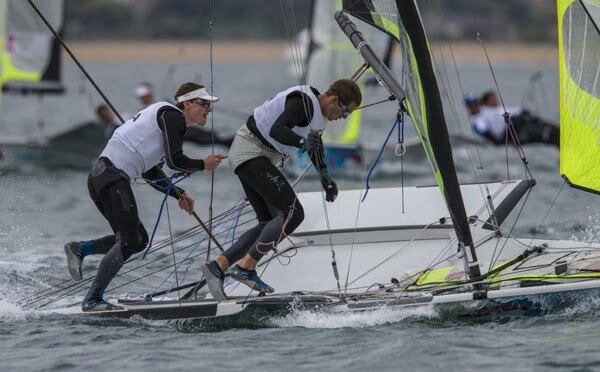 Mr. Storck, who is 26 years old, is currently employed by Stanford University as Sailing Team Coach and will serve as the “skipper” of the 49er U.S. Sailing Team at the 2012 Olympic Games. “Erik is an incredibly organized and methodical sailor – for him every problem has a solution – it just needs to be wrestled to the ground.” said Dean Brenner, the Chairman of the U.S. Olympic Sailing Program. Erik graduated from St. Patrick’s in 2000 and went on to St. Anthony’s High School (’03) and Dartmouth College (’07). He comes from a distinguished sailing family here in Huntington – and is a third generation sailor! In fact, his family won the Scuttlebutt Sailing Family of the Year in 2010. They can often be spotted around the waters of Huntington in their Ericson 39, the “Jonrob”. Erik is a member of the Glackin family, a family well represented by a large number of St Patrick's School alumni. Erik has many significant achievements on the water over the years, including “All-American Coed Skipper” (2005, 2006, 2007), All-American Honorable Mention Coed Skipper (2004), and College Sailor of the Year Finalist, (2005, 2007). He has been a member of the U.S. Sailing Team since 2009. 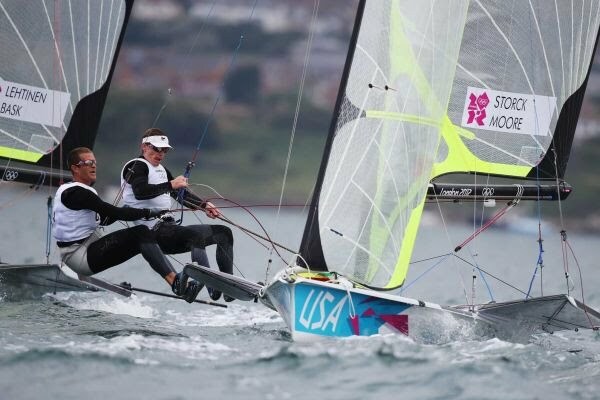 While, Erik, and his partner Trevor Moore, did not get to compete in the final medal race in the 49er sailing division at the Olympics, we can only imagine the thrill and honor of competing in the Olympics. This was their first Olympic Games. “Our journey was phenomenal and we wouldn’t trade it for anything,” said Storck. “We don’t regret anything we did and we are grateful. I was so fortunate that he chose to sail with me. We don’t believe we performed to our ability, and we truly believe we could have been medal contenders. We certainly enjoyed following Erik's progress at the Games. There were some great highlights during the 15 race competition, including a 1st place finish in race 4 and a 2nd place finish in race 9. As you can see from the above pictures, the 49er is a high tech sailing dinghy. From the trapeze and the number of sheets, lines, straps, clips, etc. it certainly looks like a tough boat to sail! Congratulations to Erik on his first Olympic Games.